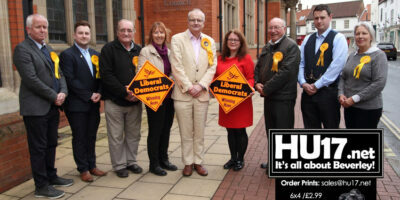 Jim Whitfield Archives | HU17.net – It’s all about Beverley! Tempers flared in the last Full Council meeting of Beverley Town Council before the May elections. After taking a break for a couple of the years, the Beverley in Bloom Town Competition took place over the summer of 2014. Yorkshire In Bloom Judges Coming to Beverley – Every Little Helps! On Friday 19th July, Yorkshire in Bloom judges will be visiting Beverley as part of their regional summer competition. Residents young and old are being encouraged to roll-up their sleeves and join Beverley in Bloom to help brighten up the town on Sunday 26th May. The festive season may be over, but it’s still not too late to think of a New Year resolution. For anyone still thinking of what theirs might be, they might like to consider getting involved with a community project that will help brighten up an East Riding town. Beverley in Bloom ‘SPRING-board Event’ – Show You Care!